As much as you might love your Android phone, there are still a few things that remain easier with Apples. Media streaming is a prime example, thanks to Apple's AirPlay protocol. 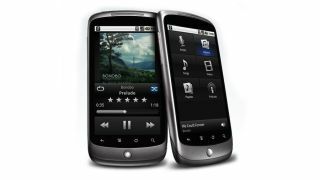 This could change, if a new project partnership between chip-maker Qualcomm and music player doubleTwist bears fruit. Together they have created MagicPlay, a new open-standard streaming protocol which they are hoping manufacturers will incorporate into the next generation of Android smartphones and tablets. The MagicPlay technology is actually based on an older Qualcomm wireless concept called AllJoyn, which connects compatible (read: Qualcomm) chips creating peer-to-peer networks over short distances. Wireless connectivity is something doubleTwist knows a thing or two about, having created the successful AirTwist wireless media syncing tool to complement the standard doubleTwist media player for Android phones. AirTwist connects with a client installed on PCs and updates the media library on your phone, so that you always have the most up-to-date music to listen to. From here, Qualcomm will begin the uphill battle selling MagicPlay to the manufacturers and trying to convince them to use MagicPlay in their media apps rather than the older (and clunkier) DLNA protocol and the new (and considerably more streamlined) Miracast. Either way, it's a win for consumers. After years of wishing the latest 'droid could dock and stream like the iPhone, we may finially see something resembling a standard that all the manufacturers can embrace, both in phones and in home theatres and TVs, too.